Learn how to use Garageband '11 in this excellent training course entitled Garageband '11 Essential Training by lynda.com. In this Garageband '11 training course for beginners, let expert Todd Howard give you a comprehensive guide to this popular digital audio software from Apple. He demonstrates the various tools and techniques, so you can start creating, editing, and publishing your own music and podcasts. To learn more about the course, view the free sample videos below or visit the course details page. And as a special promotion, you can sign up for a free 7-day trial pass to get complete access to this entire course, as well as the entire lynda.com library of over 1000 high-quality training courses. Visit lynda.com to learn more about this excellent online training site. If you're interested in learning how to use Mac OS X Lion, then check out these Mac OS X Lion tutorials for beginners in video format. These videos are from Mac OS X Lion Essential Training by lynda.com. This excellent training course is designed for beginners, to help them get the most out of their Mac. In this course, Macworld senior editor Christopher Breen provides a comprehensive overview of Mac OS X Lion, complete with insider tips. You'll learn how to configure system preferences, personalize the interface, and master gestures, as well as achieve fluency with applications such as Mail, iCal, and Preview. You'll also learn how to browse the web with Safari, automate complex and repetitive tasks with Automator, share over a network, and perform maintenance operations using the disk utility. The author will also teach you some time-saving techniques for using the Mac efficiently. To learn more about the course, watch the free Mac OS X Lion video tutorials below, or you can also visit the course details page. And as a special promotion, visitors of PinoyMacLovers.com can get a free 7-day trial pass, which grants complete access to the entire lynda.com library of over 1000 courses. This will let you view this entire course for free, as well as all the other courses offered by lynda.com. Listen to software developer Simon Allardice talk about the benefits of using the Newsstand feature of the iOS 5 SDK. This video is from the iOS 5 SDK New Features training course from lynda.com. For more information, view the course details page. You can also sign up for a free 7-day trial. This video introduces the new storyboard supporting feature in Xcode 4.2. Software developer Simon Allardice explains what a storyboard in Xcode is, and talks about what scenes and segues are. He also introduces the new prepareForSegue method. This video is from the iOS 5 SDK New Features training course from lynda.com. For more information, view the course details page. You can also sign up for a free 7-day trial to view the entire course. Learn how to use Compressor 4 in Compressor 4 Essential Training from lynda.com. Topics include: Using Compressor with QuickTime and Final Cut Pro X, Transcoding to ProRes, Understanding encoding, Setting markers for DVD and Blu-ray, Building an MPEG2 for broadcast, Adjusting video footage, Creating templates, Setting destinations and more! Visitors of PinoyMacLovers.com can view the entire course by signing up for a free 7-day trial. To learn more about the course, watch the free Compressor 4 video tutorials from the training course, which can be found below. In Motion 5 Essential Training, author Ian Robinson shows how to create stunning motion graphics and animations for video production. Topics include: Getting started with Motion and setting essential preferences; Building custom presets to create a slideshow; Keyframing animation; Creating credit rolls; Adding reflections; Controlling and animating cameras; Creating depth of field in a composition; Adjusting audio; Exporting, sharing, and archiving a project. Below, you will find a video introduction to this excellent course, as well as some free video samples from this 8-hour Motion 5 training title. If you want to access the entire course, become a lynda.com member today or sign up for a FREE 7-day trial. "Your work is going to fill a large part of your life, and the only way to be truly satisfied is to do what you believe is great work. And the only way to do great work is to love what you do. If you haven’t found it yet, keep looking. Don’t settle. As with all matters of the heart, you’ll know when you find it. And, like any great relationship, it just gets better and better as the years roll on. So keep looking until you find it. Don’t settle. FaceTime lets you make video calls to other FaceTime users, whether they are on another FaceTime capable Mac, iPhone or iPad. Watch this Mac OS X Lion video tutorial to see a demonstration of how it works. This video is from Mac OS X Lion Essential Training by lynda.com. To view the entire course, you can sign-up for a lynda.com membership or try it our for free with this 7-day trial pass. This Mac OS X Lion video tutorial will teach you how to configure basic personal preferences on your Mac. This includes things like the general appearance of windows, menus and icons, the options for desktop wallpapers and screen savers, and the settings for your dock (the dock contains icons that you can click on to launch the apps installed on your Mac). This video is from Mac OS X Lion Essential Training by lynda.com. To view the entire course, you can sign-up for a lynda.com membership or try it our for free with this 7-day trial pass. Apple will often release software updates for your operating system as well as the other applications on your Mac. Watch this Mac OS X Lion video tutorial to learn how to update your software so that your Mac stays current. This video is from Mac OS X Lion Essential Training by lynda.com. To view the entire course, you can sign-up for a lynda.com membership or try it our for free with this 7-day trial pass. Mac OS X Lion gives you a more expanded use of gestures. With the help of a trackpad, gestures let you control your Mac in a variety of ways. Learning the different gestures available to you can help maximize your productivity when working on your Mac. Watch this Mac OS X Lion video tutorial to learn more about gestures. This video is from Mac OS X Lion Essential Training by lynda.com. To view the entire course, you can sign-up for a lynda.com membership or try it our for free with this 7-day trial pass. This Mac OS X Lion video tutorial gives you a tour of the finder. The finder is an application that lets you browse through the contents of your Mac. You can use the finder to create folders so that you can organize the files that you have in your Mac. This video is from Mac OS X Lion Essential Training by lynda.com. To view the entire course, you can sign-up for a lynda.com membership or try it our for free with this 7-day trial pass. If you're interested in learning how to use Final Cut Pro X, then check out the free video tutorials from the Final Cut Pro X Essential Training course below. This training course is produced by Lynda.com. It covers the basics of how to use Final Cut Pro X, and includes topics such as: What is Final Cut Pro X?, Exploring the new Interface, Understanding the Event Library, Editing B-roll with Connected Clips, Nesting multiple clips together using Compound Clips, and Using keyframes to change effects and opacity over time. Lynda.com is an excellent software training provider. You can sign-up for a free 7-day trial to gain access to thousands of video tutorials in their training library. Learn how to use GarageBand '09 by watching these free GarageBand '09 video tutorials. These are from GarageBand '09 Essential Training by lynda.com - one of the best software training sites out in the web today. To access the free videos, go to the GarageBand '09 Essential Training page and click on the free video links. The free videos cover the following topics: What's new in GarageBand '09, Installing and configuring hardware, Choosing a project in the Start screen, Choosing a style, Working with the Timeline, Mixing your band, Recording and opening in GarageBand, Choosing a lesson, Navigating lessons, and Leaving a lesson. If you want to access the entire course, become a lynda.com member today or sign up for a FREE 7-day trial. Learn how to use Logic Pro 9 by watching these free Logic Pro 9 video tutorials. These are from Logic Pro 9 Essential Training by lynda.com - one of the best software training sites out in the web today. Topics covered in the free videos below are: Understanding audio interfaces, Learning useful and custom key commands, Setting up for recording, Recording live instruments and vocals using multitrack recording, Playing with guitar madness: Pedal board, Understanding MIDI, Creating your own Apple Loop, Scoring music to video, and Understanding why alt mixes are a good idea. These are just a few videos from this excellent training course. If you want to access the entire course, become a lynda.com member today or sign up for a FREE 7-day trial. Learn how to use Pro Tools 9 by watching these free Pro Tools 9 video tutorials. These are from Pro Tools 9 Essential Training by lynda.com - one of the best software training sites out in the web today. In the free videos below, you'll learn how to choose the Playback Engine and Hardware settings, create a Pro Tools session, investigate the menus, import tracks from a CD, undo an edit, compose with virtual instruments, work with the MIDI event list, and set up a session for mastering. These are just a few videos from this excellent training course. If you want to access the entire course, become a lynda.com member today or sign up for a FREE 7-day trial. This video tutorial shows you how to password protect folders in Mac OS X. The technique used here does not require downloading any special applications, and is totally free. You'll simply use Disk Utility, which is already installed on your Mac, to create an encrypted disk image that contains all of your sensitive files. An encrypted disk image is a type of disk image that requires a password, before its contents can be accessed. The video is less than 2 minutes long, and is pretty easy to follow. If you found this video on how to password protect folders on a Mac useful, please feel free to share it with your friends. If you're interested in programming for iPhone devices, learn iPhone development in this series of videos from the iPhone SDK Essential Training Course from Lynda.com. Developer Simon Allardice will take you through the process of becoming an iPhone developer. You'll get to explore the core development tools for iPhone (Xcode, Interface Builder, and Instruments), the language (Objective-C), and the framework (Cocoa Touch). If you want to start learning programming for iPhone devices, then I highly recommend this course. And I have to say, Simon Allardice has an awesome voice and accent. He sounds like a British secret agent. 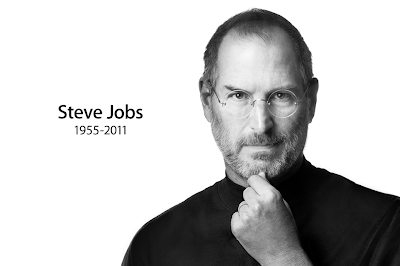 I think all software training videos should be narrated by him. Attention: MacBook Air contest. Get the chance to win a MacBook air! MakeUseOf.com is giving away a MacBook Air to one lucky fan when their Facebook page reaches 100,000 likes. To get the chance to win it, all you have to do is like their Facebook page. It's that easy! They will be giving away a $999 eleven inch MacBook Air with a 1.4 GHz Intel Core 2 Duo processor. It weighs just 2.3 pounds and has 2 GB of memory, 64 GB of flash storage and a NVIDIA GeForce 320M graphics card. The MacBook Air's battery can last up to 5-hours and can stay on standby for up to 30 days on a single charge. Because it uses Flash storage, the MacBook Air turns on and off very quickly. The 11" MacBook Air is also equipped with a multi-touch glass trackpad, two USB 2.0 ports, one MiniDisplay port, and an AirPort Extreme Wi-Fi wireless networking card (based on the IEEE 802.11n specification and is IEEE 802.11 a/b/g compatible). Like the MakeUseOf.com Facebook page now to get the change to win an 11-inch Macbook Air! This MacBook Air contest will end soon after they reach 100,000 fans. If you'd like to learn how to use iTunes 10, here are some iTunes video tutorials by Lynda.com. These videos are from the iTunes 10 Essential Training Course. You'll learn how to input song information, browse and search for music, create playlists, and more! I've been a Lynda.com subscriber for a few years, and I can say that they are one of the best online training sites out there. Here's a 7-day free trial pass so you can try their entire library of 1000+ courses. To learn more about iTunes 10 Essential Training, continue reading this page. For as low as $25, you get 1-month access to their entire online video training library. There is no long-term commitment required, and you can cancel your membership at anytime. Become a lynda.com member to get access to over 1000 courses, and start learning how to use iTunes 10. If you wish to upgrade from MS Office Word 2008 for the Mac to Word 2011 for the Mac, then the Migrating from Word 2008 for Mac to Word 2011 training course from lynda.com can help make the transition much easier for you. It's a series of video tutorials that teach you how to migrate from your old Mac Word 2008 workflow to Word 2011. I've posted a couple of video tutorials from the training series so you can get a better idea of what the course is like. Lynda.com is a great learning resource that has tons of tech-related tutorials ranging from beginner to advanced levels. Visitors of this site can get a 7-day FREE trial to lynda.com if you wish to find out more about their online training library of over 900 courses. Here's a nice unboxing video of a 15" 2.0GHz core i7 MacBook Pro 2011 model from youtube user davomrmac. The current MacBook pro I have will be 3 years old in June. I think it may be time to get myself a new one. If you just got yourself a new iPhone or iPod touch, let author and computer expert Garrick Chow guide you on how to use its different features. In the iPhone and iPod Touch Essential Training videos for beginners, you'll get in-depth instructions on the features of the Apple iPhone and iPod Touch (iOS 4.0): making calls with the iPhone, emailing, browsing the web, syncing with a Mac or PC, managing time, getting around town using the Maps app, taking notes, taking photos, recording video, and listening to music. This live-action course also includes hands-on demonstrations of how to accurately type and efficiently use finger gestures. You'll also get tips on setting up the iPhone and iPod Touch preferences so that they behave as expected. Want to learn how to add extra protection for your device? Then you'll like the chapter that teaches you how to create a passcode lock and how to locate a lost iPhone using the MobileMe service. There's also a chapter on troubleshooting to help you when the occasional glitches happen. In Lynda.com's Distributing iOS Applications Through the App Store video training tutorial, you'll learn how to prepare an application and how to submit it to the Apple App Store for iOS apps. You'll learn how to prepare the assets, generate the needed certificates and provisioning profiles, create the bundle, submit the app to the app store, and comply with Apple's requirements for marketing materials. You'll also gain some insight on the Apple submission process, which will help you in meeting the review guidelines and increasing the odds of acceptance. If you've got a big batch of photos, resizing all of them can become quite tedious. You can resize those pictures one by one using a simple graphics editing application, or you can find an application that will let you resize a big bulk of pictures in one go. I like that last idea better. If you also like that idea, and you're looking for a batch image resizer for Mac, then you don't need to look very far because you already have one installed in Mac OS X. Free! Macs come with a built-in application called Automator that allows you to batch resize images on your Mac. You don't need to download and install any third-party applications. Automator is a very useful application that lets you create automated workflows for repetitive tasks, and functioning as a a Mac picture resizer is simply one of the things that it can do. Feel free to share this with other people who might be interested. And please like the Facebook page if you enjoyed the tutorial. iPhoto is a useful photo management software for your Mac. In iPhoto '11 Essential Training by Lynda.com, get an in-depth tour of this popular application. See demos of its many features for organizing, editing, and sharing images. Learn techniques on how iPhoto's face detection, geotagging, and Smart Album features can be used to categorize images into custom collections. And get tips on how to perform image corrections and enhancements. Also covered in this course are iPhoto tutorials on building customized slideshows and using image collections to create calendars, iPhoto books, and greeting cards. If you're looking for great iPhoto '11 tutorials, I would definitely recommend Lynda.com. Sign-up for a subscription now to get access to the iPhoto '11 Essential Training course as well as other tutorials from their extensive library of educational content. Are you an app developer who would like to learn how to distribute, sell and promote your application through the Mac App Store? Then you might be interested in this course - Lynda.com has released a video entitled Distributing Mac OS X Applications Through the App Store. This video, which is less than 2 hours, shows app developers the basics of how to package and submit applications for sale and distribution through Apple's Mac App Store. You'll learn how to create the icons and screenshots for the store listing, how to create and test the installer, and you'll be given tips on how to promote the app. The course also talks about the Apple app submission process and offers tips for meeting the review guidelines and increasing the chances of acceptance. For $25, you get 1-month unlimited access to not just this training course, but all of Lynda.com's 50,000+ video tutorials. No long-term commitment. You can cancel your membership at any time. Visitors of this site can get a 7-day FREE trial pass to lynda.com, so that you can see for yourself what a great learning resource this website is. So if you're ready to learn how to distribute, sell and promote your app through the Mac App Store, then get a Lynda.com subscription to be able to view this course. Looking for where to buy a wireless iPhone charger in the Philippines? 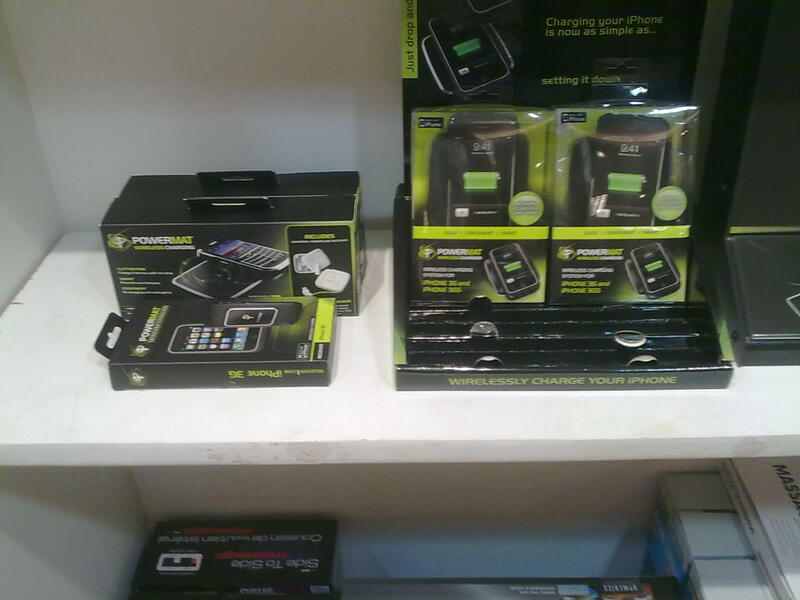 I was at the Rustan's Department Store in Makati today and I was looking at some products displayed in this little tech corner that they have (it's right across Lacoste, and it's not a very big area so it's pretty easy to miss), and I saw that they are currently carrying the Powermat wireless charging systems. The Powermat is basically this pad that lets you charge a device by simply placing the device on top of it. But your device needs to have a Powermat receiver in order for it to get power. This receiver looks just like those protective cases for mobile devices. So you just attach your device to the case, and you'll be able to charge it without a power cord. A receiver case for your iPhone so that you can charge it on a Powermat. This one does not come with a case for the iPhone. It's just a charging mat with space for 2 devices. It comes with a Powercube, which you can attach to compatible devices so that you can charge them on the Powermat. This one is a bundled package that has a small Powermat that has space for one iPhone, and comes with a receiver case for the iPhone 3G and 3GS. Powermat already has a charging system for the iPhone 4, but Rustan's does not carry them yet as of this post. *Prices may change. I also don't know how long they'll be carrying this product. 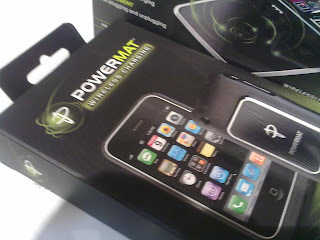 You can learn more about the Powermat by going to the Powermat website. So are there any iPhone users out there in the Philippines who want a wireless charger for their iPhones? Lynda.com, one of the best online training sites in the web, has just released a new video training tutorial course entitled iMovie '11 Essential Training. This training title covers the fundamentals on how to use iMovie '11 - an easy to use video editor from the iLife '11 suite. It's got a lot of interesting "iMovie how to" topics that include post-production process lessons on importing audio, video, and still images, adding iMovie effects to clips, creating trailers, and sharing your finished projects on social networks such as YouTube and Vimeo. And you'll get some great iMovie tips along the way, too. Also included are tutorials on adjusting audio levels, tagging clips, automatically identifying clips that include faces, adjusting color, adding titles, and using green screen effects to name a few. It's definitely a great tutorial series for beginners who would like to learn how to edit great videos using this easy-to-use application. Want FREE access to 1000+ training courses? As a special promotion, visitors of this site can get a FREE 10-day trial to lynda.com. This free trial gives you access to their entire library of training courses so that you can see for yourself what a great learning resource this website is. Continue reading the rest of the article to see the topic outline for iMovie '11 Essential Training as well as some sample iMovie tutorial videos from the course. So do you want to learn how to use iMovie '11? Then sign up for a lynda.com membership to view this iMovie '11 tutorial course, and start learning today! The Mac App Store is now available. I'm pretty excited about getting to use the Mac App Store. No more of those bulky boxes and installation discs! It's going to be pretty convenient to just have to go to one place to get most, if not all, of the Mac apps that you need, that you want, and even the ones that you didn't even know you needed or wanted! The Mac App Store is available as a free software update for Mac computers running Mac OS X v10.6 or later.